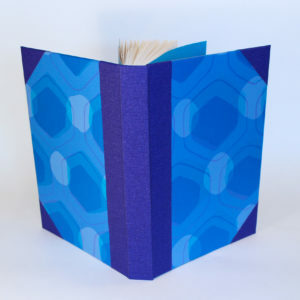 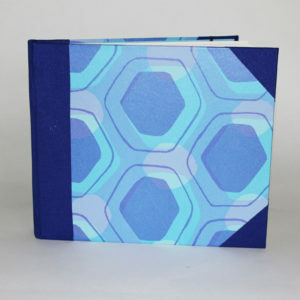 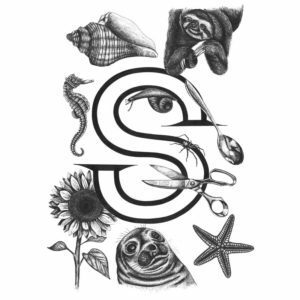 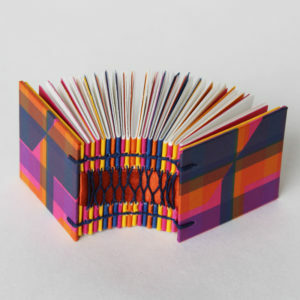 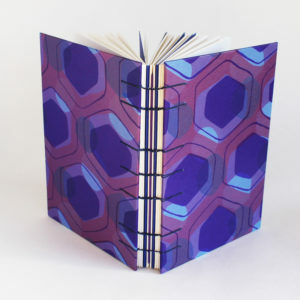 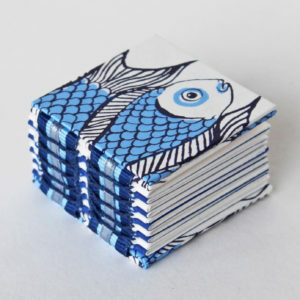 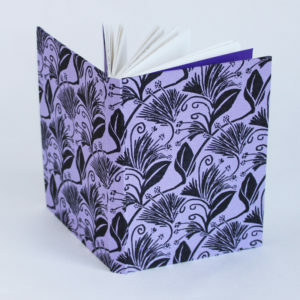 A6 hardback sketchbook, notebook or journal. 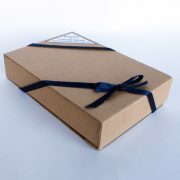 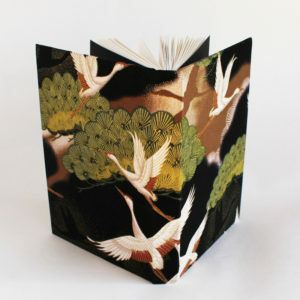 White 140 gsm acid free cartridge paper, hand stitched and hand bound into a chunky book. 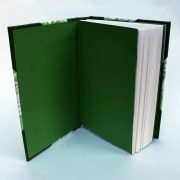 152 usable surfaces/ 76 pages suitable for all dry media and light watercolour. 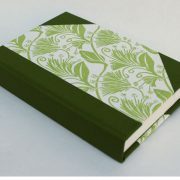 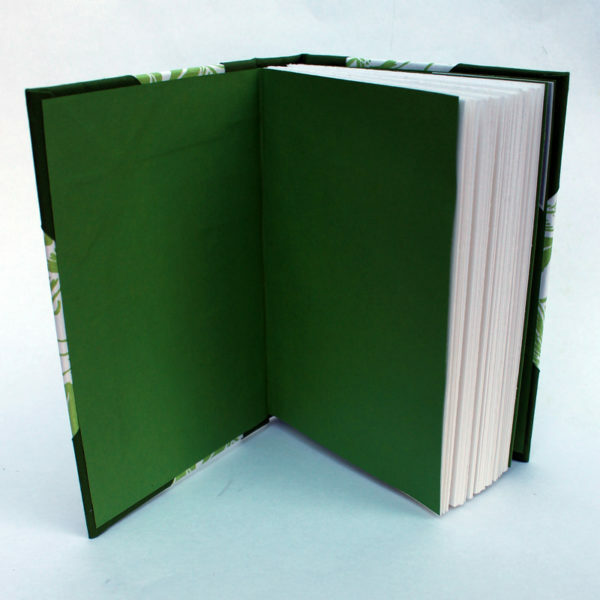 Finished with green co-ordinating endpapers, with spine and corners in matching green book cloth. 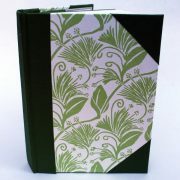 Covered with hand silkscreen printed paper in my own ‘Travellers Joy’ pattern design in green on white. This pattern was inspired by the wildflower commonly known as ‘Old mans Beard’- Travellers Joy is another name for the same plant.